EWG scientists reviewed Suntegrity Skincare LIP C.P.R., Plum Eclipse, SPF 30 for safety according to the methodology outlined in our Skin Deep Cosmetics Database. We assess the ingredients listed on the labels of personal care products based on data in toxicity and regulatory databases, government and health agency assessments and the open scientific literature. 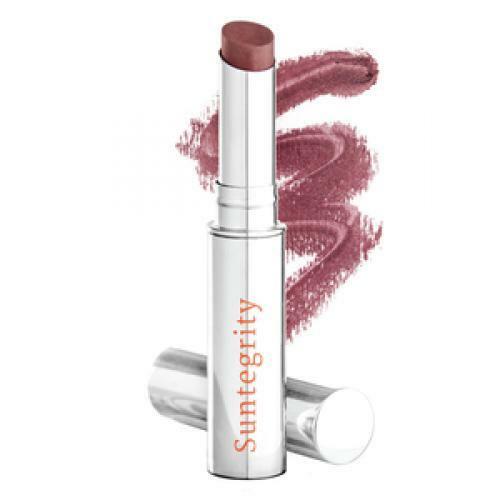 EWG's rating for Suntegrity Skincare LIP C.P.R., Plum Eclipse, SPF 30 is 1. Active Ingredients: Zinc Oxide 18%, Inactive Ingredients: Persea Gratissima (Avocado) Oil, Caprylic/Capric Triglyceride, Vitis Vinifera (Grape) Seed Oil, Euphorbia Cerifera (Candelilla) Wax, Hydrogenated Vegetable Oil, Polyglycerol Polyricinoleate, Mica, Ethylhexyl Palmitate, Phytosteryl Canola Glycerides, Ricinus Communis (Castor) Oil, Phospholipids, Polyglyceryl-3 Diiostearate, Tocopheryl Acetate, Sodium Hyaluronate, Trihydroxystearin, Silica, Amorphophallus Konjac Root Powder, Simmondsia Chinensis (Jojoba) Seed Oil, Butyrospermum Parkii (Shea) Butter, Theobroma Cacao (Cocoa) Seed Butter, Tocopherol, Hippophae Rhamnoides Extract, Helianthus Annuus (Sunflower) Seed Oil, Stevia Rebaudiana Leaf/Stem Powder, May Contain: Iron Oxide (CI 77491), Titanium Dioxide (CI 77891), Iron Oxide (CI 77499), Mica (CI 77019), Barium Sulfate (CI 77120).